Saturday evening, 26th November (pre the Abu Dhabi GP showdown) Lewis Hamilton made one lucky SPG member’s dream come true in a truly unique experience and raised the bar for loyalty programme reward and recognition. Following a week long simulator challenge installation at the Le Méridien Abu Dhabi, where over 350 entrants participated in the SPG Simulator Challenge contest to find the fastest lap time around the Yas Marina race track, Rush Sport & Entertainment’s activation team moved the installation 8km along the Corniche to the new venue, the highest helipad in the Middle East at the St. Regis Abu Dhabi hotel. Saturday evening, 26th November (pre the Abu Dhabi GP showdown) Lewis Hamilton made one lucky SPG member’s dream come true in a truly unique experience and raised the bar for loyalty programme reward and recognition. The new venue presented some unique challenges for the set up team, not least of all because it was 255m up between two towers, home to The St. Regis Abu Dhabi. With breathtaking, 360 degree views the helipad location proved to be one of the most exciting activation experiences undertaken at this years Abu Dhabi Formula 1 Grand Prix. Lewis arrived direct from the Yas Marina track to congratulate and race a few laps with the SPG Simulator Challenge winner before heading down to entertain the SPG guests attending the VIP reception hosted by the 5 star hotel. SPG host multiple events across the Formula One season thanks to their partnership with the MERCEDES AMG PETRONAS Formula One Team. Via SPG Moments members can use Starpoints to redeem money can’t buy experiences. Sign up to SPG’s rewards programme to start living the SPG Life. Rush Sport & Entertainment is proud to work with SPG in Formula One, creating and delivering unique experiences for its loyal members around the world. Four Formula One teams earned more than $100 million in prize money last year according to new research which shows that the outfits in the auto racing series are some of the best rewarded in world sport. The financial pages of newspapers are filled with stories about share price changes. If sponsorship is genuinely a tool for improving business performance then surely it should impact in these areas. But does it? According to Prof. Jensen of Columbia College, a long term commitment to sponsorship will help a business surpass its competitors over the long term. Jensen’s report surveyed 50 major US corporations’ KPIs over a five-year period (stock price appreciation, total revenue, net income and earnings per share) and found that sponsors clearly outperformed other S&P companies across net income growth, growth in earnings per share and stock price appreciation. There have been many cases where sponsorship has helped increased interest in a business’ stock. How has sponsorship done this? A trader reads about an upcoming IPO by a global company. They see the company’s brand on a football team’s shirt or on the side of an F1 car on a Sunday afternoon. They recall the bit of press or report that came across their desk on the IPO. On Monday morning, they begin researching the company in more detail and ultimately purchase stock. Why they purchase the stock we’ll get onto in a moment. The point here is that this scenario has been seen time and time again. One such example is a Brazilian energy corporation that saw large spikes in trading on Monday and Tuesdays following a Grand Prix. SingTel, sponsor of the Singapore GP are another. SingTel experienced share price rises on both occasions that they announced renewals to their Formula One sponsorship. Their second renewal announcement resulted in a price rise of S$3. Brand investment is a sign that the company are willing to invest and make positive decisions in order to grow the business. In fact, subsequent to SingTel’s renewal announcement, analysts commented that the deal signaled a commitment to the brand and to the company’s growth, which drove the share price up. Building a differentiated position in a crowded and competitive market is essential. Sponsorship can position a business as an in-touch, exciting, innovative and relevant to consumers – the Singapore GP touches nearly all of Singapore’s residents over the Grand Prix weekend. When a company knows its market and is actively engaging with them through exciting mediums, the result is positivity towards the company. Positive news and new investment generally mean greater future earnings – the most important factor that affects the value of a company is its earnings. Ultimately, sponsorship can be seen as a positive sign of a company’s health, and as a commitment to continue growing the business. Nearly every sports sponsorship proposition now includes a section called, business development. But as a platform to drive new business revenue, how good are they really? In Formula 1’s VIP hospitality environment, Paddock Club, the racing is the entertainment. The Formula 1 Paddock Club represents a place to relax, meet new people and discuss business in a less formal environment. 60,000 business leaders don’t vie for a place in Paddock Club each year to eat exquisite food and drink champagne in elegantly dressed rooms! Although it does improve the setting for achieving their primary objective… to do business. The image below provides a summary of the Formula One’s Paddock Club b2b potential. But more than attracting a senior decision maker and having access to them for longer, Formula One provides something not many other sports can… Product Relevance. Formula One is the most technologically advanced sport; eleven teams design, prototype, build, test and operate entirely new, 200mph products each year that are then continuously developed. Racing in Formula 1 requires the latest IT, engineering and telecommunications equipment and infrastructure. Logistical support to transport everything around the world. Recruitment and HR support to build the best possible team. Insurance. Nutritional and sports science support to keep drivers and teams working at the optimum. I could go on. Formula One sponsors don’t just put their logo on a car, they provide products or services to help improve the performance of the team. By providing these products and services they can create high-performance mission-critical case studies to take to market. So what has product relevance got to do with the ultimate b2b sales platform? 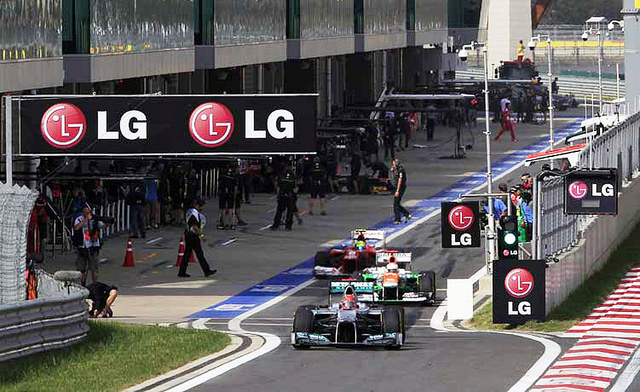 Formula One sponsors can utilise access to the team at events to help promote products and services. For example, a sponsor can have the Head of IT at the F1 Team show guests your products and services being used by the team. They can tell the guests how your products are improving their performance, saving costs etc. Showcasing a business through engaging and differentiated product showcases in Formula 1 has proved extremely successful, with $billions being done annually. To give an example, one IT brand grew $500m in new revenue from co-team sponsors in just the first 18 months of their partnership. This revenue was tracked and directly attributed to F1’s b2b forum in the company’s annual report. Whilst many sports propositions claim ‘excellent business development opportunities’, none truly rival the b2b forum of Formula One. With billions of dollars worth of business being done annually, can a global business afford not to be operating in this arena at some level? Attention marketers: The future of marketing is appearing faster than you think…. you are already holding it in your hands. Yes, that’s right, your smartphone or tablet is where all the action is in sports marketing. Act fast to take the lead over your competition. The ubiquity of smartphones and tablets has created a “second screen” which enables a sporting audience to consume content in parallel to live TV. However, while TV is still mostly a passive medium, two way interactions through simultaneous consumption and contribution are native to the internet. Its common to have CricInfo open on our second screen while watching a match, or publicly gloat or vent on social media for days about a controversial goal after the football match might have finished. We are in the early stages of the sporting audience if not migrating its attention to the second screen then definitely splitting its attention between the live broadcast and the second screen. Two things are driving this. Firstly, sport polarizes an audience into partisan tribes. One either supports Liverpool or Manchester United, Federer or Nadal. While such partisanship has always existed since the start of sporting competitions, in the internet age its easier to aggregate a global or national community around a tribe with a shared interest and to empower members to amplify their shared identify. Secondly, sport creates a lot of data and for the first time this data is accessible to fans through their second screen. This brings them closer to the action. It enhances their experience of immersing themselves into an event without leaving their home. Consumers are choosing to engage with this data more than they engage with boring one way TV commentary. This creates a more sticky second screen audience. So how can you take advantage of this trend which is only getting bigger? To start with, recognize that India will soon have some 70 million active smartphone users and this growing installed base will increasingly spend time on the internet at the expense of TV. You can know more about each of these users through their location, usage and of course their tribal affiliation and thus customize your message to them for better targeting compared to the mass market messaging of the TV era. At least for the next few years the cost of communicating your brand message to these consumers will be orders of magnitude cheaper than through live sports on TV. Further, early experience of second screen usage in developed countries indicates that these users are usually more emotionally engaged in the event and therefore can be a more endearing consumer for your brand if you get your message right. Your brand must join the conversation and you must curate content around sporting events to augment the consumer experience. Done intelligently, you might never need to push a blatant sales message because fans will become loyal to you through your contribution to increasing their enjoyment of an event that is important to them. This brings me to relevance – keep your message relevant to the brand and the event – you don’t have to capitalize on every trending topic. Last week, during the 50th anniversary of the March on Washington celebrations, the Golf Channel solicited tweets on “your golf dream on MLK’s I Have A Dream speech”. Many thought it was inappropriate for an elitist sport to exploit the occasion for customer engagement on the sensitive topic of fight for social justice. By contrast, Oreo did a great job with its “you can still dunk in the dark” tweet during this year’s Super Bowl black out. Finally, build your internal dashboard to keep track of progress. Not to get into the TRP debate, but TV analytics are stuck in the 20th century. In the internet age, its easier to both track and measure a campaign’s ROI even at a granular level. There’s a reason why Twitter and Facebook are buying social TV chatter companies to help brands stay on top of engagement levels on the second screen. You can get a real time pulse on how your brand is being embraced and can course correct in a nimble way even in the middle of a tournament. Our last post, West to East: Sports Sponsorship Lessons, talked about the relationship between sponsorship and branding – ‘Sponsorship doesn’t = Branding’. This picked up on the common misconception that to be a successful sponsor you are required to have lots of branding, everywhere. Not in my book anyway! As far as we’re concerned, views (or ‘likes’ in the case of Facebook) should never be the end goal of any advertising or sponsorship campaign. XYZ company post a video on YouTube. The video is very clever, features a couple of celebrities and is well executed. The video asks viewers to do something – for the sake of this example we’ll say sign up to the company’s newsletter. The video sees over 1 million views in the first week. Both the ad agency and XYZ company are very pleased with the results. It’s declared a success! But this is topline campaign tracking – the bare minimum! To draw a comparison I would compare measurement of views to the measurement of brand AEV on television. It’s a measure of eyeballs! Marketing seeks to promote and persuade – build preference if you like – in order to increase sales volume. But views mean nothing if action isn’t taken by the viewer. A minset change is needed – from eyeballs to propensity to purchase… and from ‘views’ to dollars, pounds or euros. To borrow a saying from Jeff Bladt and Bob Filbin; Know the difference between your data (views) and your metrics (propensity to purchase or sales achieved)! In western countries sports marketing and sponsorship is an established tool for assisting businesses grow. Sponsorship is an investment and can – when planned and implemented correctly – deliver business growth quicker than almost any other platform, however brands in Asia haven’t come round to the idea yet – many still don’t fully understand the need for a strong brand. This week I want to share with you some thoughts and ideas I wrote for an Indian magazine with the aim of beginning to address this issue. Sports sponsorship can be powerful way to reach a target audience, as for the fans the sport provides an escape from everyday life and in many cases forms part of a persons self-identity. This emotional connection is an attractive vehicle for communicating with consumers and can help to build brand preference. In order for brand preference to positively impact on the company’s financials, the communication has to be reaching its target audience. It goes without saying that marketers should know their customer demographics and segments. In western markets, brand and sponsorship teams – on the whole – also know the demographics of the sports fans, the team’s fans, and the individual athlete’s fans. If there is not strong correlation, the target market doesn’t hear or see the message and return on investment should not be expected. Red Bull’s marketing has always had exceptional correlation. The Austrian energy drink has sponsored many different extreme sports and extreme events, from skateboarding and snowboarding to Felix Baumgartner’s leap from the edge of space. All these sponsorships exude the Red Bull brand and can be traced back to one message “The only limit is the one you set yourself.” Any consumer that believes in that message becomes the most loyal customer and an ambassador that spreads the message far and wide. Once the demographic fit is established it is not a case of branding everything you can afford. In fact some of the most successful sponsorships have come in the Olympics, a property that offers sponsors no branding at all. British Airways saw great success in the UK last year with its ‘Staying at Home’ campaign, promoting the excitement and buzz that comes from a home Olympics. What BA were effectively saying was don’t fly abroad, stay here and enjoy the event. Quite a statement for an airline! But research has shown greater affinity for the brand and increased likelihood of travelling with BA in the future. Branding helps drive association but the activation of the rights and messages communicated are where brands drive preference. You don’t need lots of branding to create a successful sponsorship, but a consideration that is vitality important, whether you have masses of branding or none at all, is that of brand association. The brand fit, the perception and the aims for the brand all need to be considered. A company should seek sponsorship only with properties that reflect and enhance the image of the company. A partnership that started in 1978 between Rolex and Wimbledon offers one of the best examples for mutual brand enhancement. Both are legendary, prestigious brands but the length of relationship also enhances the great history of both the event and the brand. Sponsorship can also be enhanced through product relevant rights acquisition. IBM is a large sponsor of tennis and produce the exclusive mobile device application for the US Open. Their ‘Smarter Analytics’ concept provides fans with real-time stats and analytics. But rather than a simple score sheet, IBM algorithms analyse more than 39 million data points to provide fans with three ‘keys’ to each competitor winning the match. This showcases IBM’s highly advanced technology and fans love them for it as their viewing experience is enhanced in a way they could never have imagined. Sponsorship best practice is constantly evolving but by taking inspiration from western companies, Asian businesses will start to see greater brand preference, increased employee pride and ultimately increased sales revenue and profit. Sponsorship: Logos on Cars, It’s Not the Whole Story! Blank cars circle the track – they are certainly not the best and fastest machines in the world. The drivers are rich – they are not the best in the world, instead they are the Tony Stark’s of the world, entrepreneurs looking for hobbies. The stand are empty – the sport has lost credibility with the viewing public. Not very attractive is it? It is important to know that sponsorship plays a major role in all sports. But it could be said that it plays an even greater role in F1: in 2008 Formula Money calculated that $1.53bn was spent on Formula 1 sponsorship (inclusive of Formula One Management and all teams). So whatever anyone says to the contrary, sponsorship is essential to maintain the show. If you are like me then you may even believe it can enhance the show when done correctly. Despite this, there is no doubt that the general public and global business audience’s understanding of f1 sponsorship is underdeveloped, so this week I want to focus developing this understanding. I recently read one definition that described sponsorship as… ‘A person or company that finances a project or an event carried out by another person or group in return for advertising time.’ I think that sums up most people’s perception. You may have the impression that sponsorship is all about the amount of time a brand is visible either on TV or at a live event, but it isn’t! For 99% of sponsors the amount of seconds their brand is visible isn’t the priority – at least it shouldn’t be! Don’t get me wrong, all brands in the sport want as much coverage as they can get. 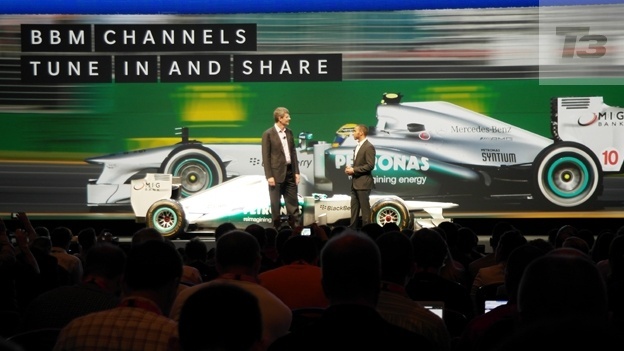 It was a priority for LG when they announced their F1 Global Partnership in 2008, but for the majority sponsorship isn’t about achieving the highest number of seconds of brand exposure possible. Ultimately it’s about increasing sales revenue and profitability. It may be blunt but all businesses, just like people, strive for a continual trajectory of progression. It’s all about making incremental gains year on year and becoming more successful. So how do businesses do this? Well it isn’t by having a logo in every TV shot. Ask yourself how often you buy products based on the fact their logo is everywhere. I’m willing to wager it’s not that often! So how do these companies increase their market penetration and profits by sponsoring an F1 team and/or driver? By enhancing their strategic position in the first instance and by creating and developing unique competitive advantages. In order to explain this in more detail, let’s look at four key areas of sponsorship that can help drive a business’s sales and enhance the value of its sponsorship investment. People like products, they like brands and they like other people because they personally relate with them. For example sponsorship helps Red Bull reach its target audience through communication linked with their passions. For many, sport provides an escape from everyday life and forms part of their self-identity. By entwining the Red Bull brand with extreme sports and F1, the Red Bull brand becomes part of any person’s self-identity that shares these passions. This emotional connection is an attractive vehicle when communicating with consumers and helps to build brand preference. Note however, this isn’t about brand awareness. Their target market knew they existed before, they just didn’t relate the Red Bull brand to themselves, so didn’t previously purchase Red Bull products. You might think that this may be easier for a strong energetic brand like Red Bull, but in truth the brand only became strong through sponsorship and there are examples of other brands that aren’t exciting seeing similar positive results. 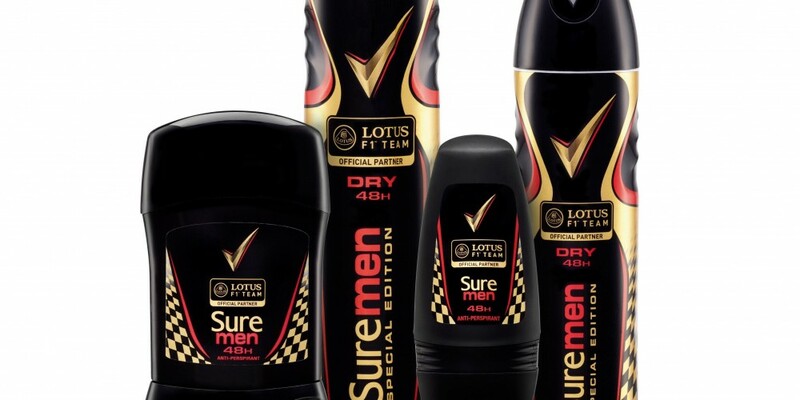 Take the two Unilever brands “Clear” and “Rexona” – mass market shampoos and deodorants, not exactly exciting, but they still increasing sales through F1 sponsorship. For many consumers around the world “Clear” and “Rexona” are already household-names, so again Unilever had no requirement for any brand awareness. So why pay to brand the Lotus cars? The simple answer is “association”. The more branding you have, the more association you have, which in turn leads to better consumer uptake of promotional activity, particularly around on-pack and point of sale promotional activity. Essentially the branding has developed a strong link to the F1 team in your mind, which means when you see the promotions on TV or in-store they have more credibility and are more likely to be taken up. This approach stimulates “personal preference” in much shorter time scales than more conventional campaigns may do when just limited to print and/or poster. After taking a look at consumer sales, known as business to consumer or “B2C”, it’s only fair that we look at the other side of the coin, business-to-business (“B2B”) sales. The total volume of global B2B transactions is much higher than the volume of B2C transactions due to supply chains. Many businesses that sell to consumers also sell to the business market, and some even just sell B2B. Take BlackBerry for an example. The first thought that comes to most people’s minds is that BlackBerry is in F1 to sell mobile phones to consumers. Wrong, through their F1 sponsorship they are also able to sell into the B2B market. How do they do this? Well today F1 has a business network of more than 220 global businesses which are involved in the sport as sponsors in one way or another. Using the F1 paddock as a networking base, BlackBerry can meet many of these businesses over the course of the season and can establish (quite easily and usually on an informal basis) whether these companies are open to BlackBerry supplying them phones for their staff. They can also meet other sponsors at races who provide complimentary services such as Vodafone for example. As a team sponsor, they can also invite decision makers of businesses that are not involved in the sport to initiative conversations that have never taken place otherwise. Sponsorship and the hospitality options available to brands are a proven platform for client cultivation. Many sponsors are involved in F1 purely for B2B opportunities allowing them to increase willingness to purchase and increase sales. Many also run effective B2B marketing promotions. In fact Vodafone were able to increase the effectiveness of their small and medium enterprise (“SME”) promotions by approximately 250% by using F1-themed activity. Sponsorship can also increase the range of products a company offers by creation of a licensed product. A licensing agreement authorises a company to use a team’s brand in relation to a particular product. Many recent licensed products relate to the advanced technology on modern day F1 cars, but it need not be limited to technology. 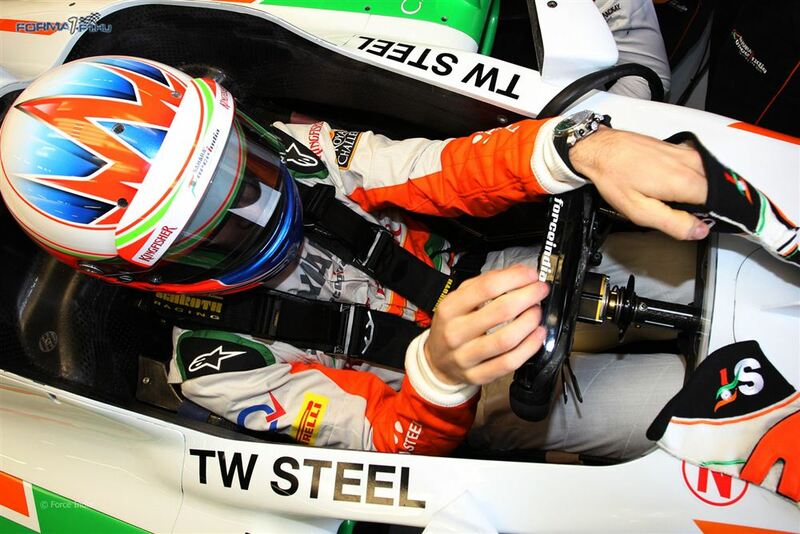 Many teams have licensing partnerships with watch brands that align with the style and sophistication of F1. Examples include TW Steel, Oris, IWC and since last Friday, French brand Richard Mille. 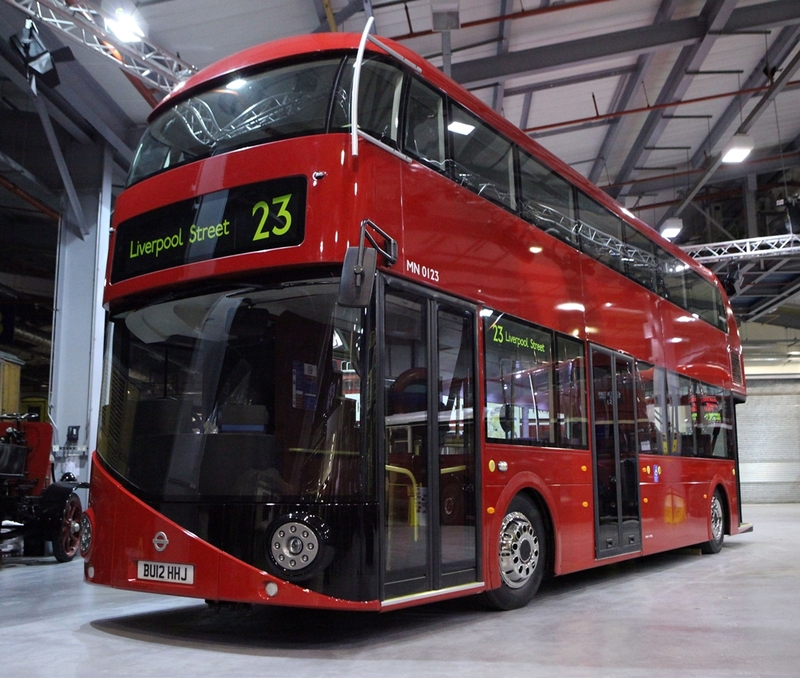 Some licensed products simply use the team’s brand name; others – often the more credible and successful – design a product in partnership or take their inspiration from the team or the car. 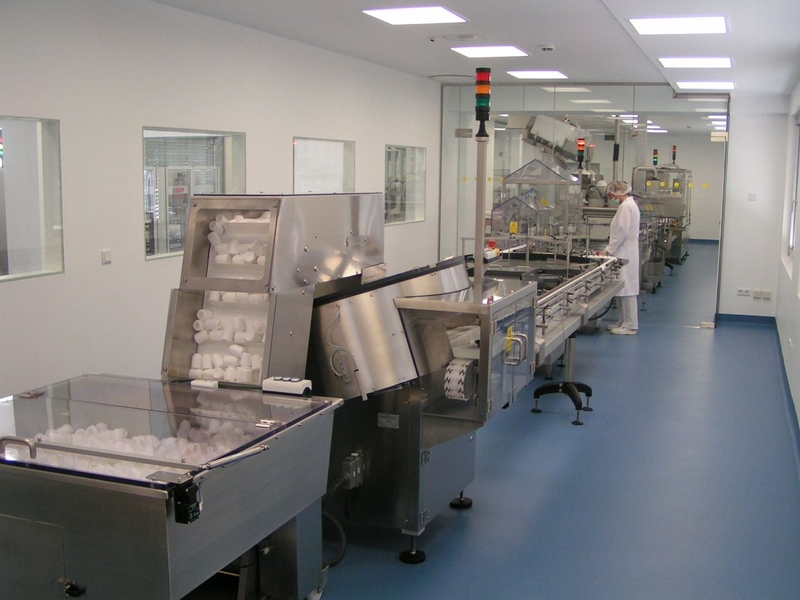 McLaren are one team that have created numerous licensed products. My personal favourite is the partnership with Specialized Bicycles that utilised McLaren’s F1 wind tunnel to optimize their racing cycle’s aerodynamics. Licensed products often help to raise brand perception and often allow the resultant product to carry a premium price tag, generating even greater profit margins than the standard products. One day companies may be entirely run by computers and machines, but that time hasn’t arrived yet, so for now at least the most important resource in a company is its employees. One area that sponsorship can be extremely effective and is often neglected is employee engagement. Sponsorship can be used to promote better operational performance and demonstrate, inspire and motivate a workforce. 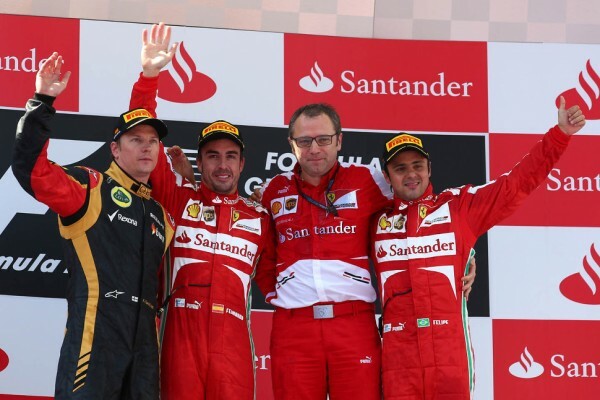 As well as B2C and B2B sales, the Spanish banking giant Santander has used F1 to actively engage their employees. The company has correctly adopted the philosophy that when you have a global workforce you need to give them some motivational tools that reflect positively on the business and communicate its aspirations for the future. To measure F1’s effectiveness, Santander conducted an internal staff survey. The results were surprising and revealed that 96% of its employees agreed that the sponsorship generated improved business results. In all sponsorships, businesses can use their rights to foster employee pride and create staff development and incentive programmes to help generate strong business results. In F1 for example, most of the teams have several turn-key initiatives such as pit stop challenges that their sponsors can use to engage to their employees. Others run prizes for top sales representatives that award them a few days soaking in the whole glamorous and aspirational F1 lifestyle. Hopefully after reading this feature, you won’t see F1 sponsorship as “just” stickers on cars or money for TV time any longer. While branding is hugely important to a company’s overall sponsorship strategy, it is often just an enhancement that encompasses other activities such as B2C sales promotions, advertising and B2B sales. When successfully combined, sponsorship helps develop a trustworthy stature for the business and its brand, making the initial investment all the more worthwhile.